hey, so i recently modded my turn assemblies in my accord. here is a diy with finally pics. 2 sets of cig lighter/ashtray lighting wiring. can buy from your local salvage yard. so once you recieve all the stuff for install. start by modifying the adapters, two of the adapters will have notches on them, cut them off without destroying the adapter. next drill the correct size holes on each side of the assemblies, be very carefull not to destroy the assemblies themselves. now cut the wires from the adapters but leave enough wire to install the assemblies correctly. install the new bulbs into the assemblies. when i installed the assemblies i used wire taps to add the outer leds to the parking lights, and i installed a switch for the inner bulbs. if done correctly you should have an assembly as shown below. Looks good! 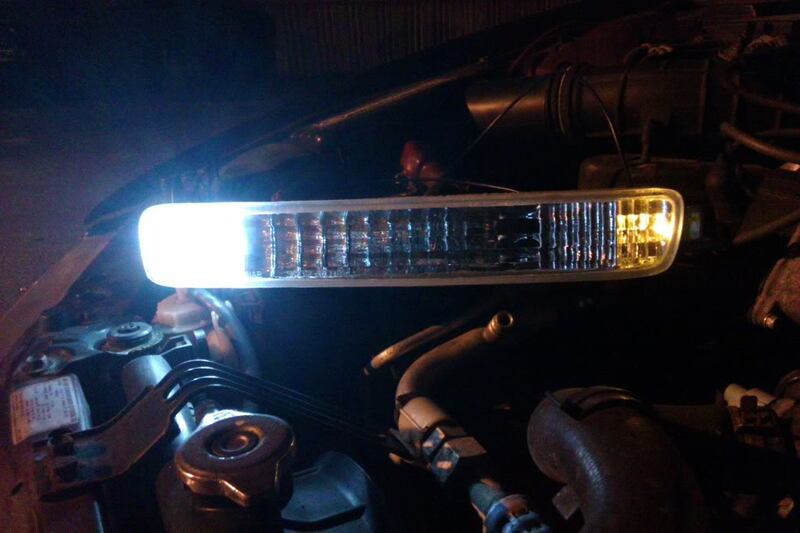 I was thinking of modifying my bumper lights but I'm too lazy I just might have to do this though. Was it much work? This looks great... What do they look like with the headlights on? But that light is super bright. Looks good. 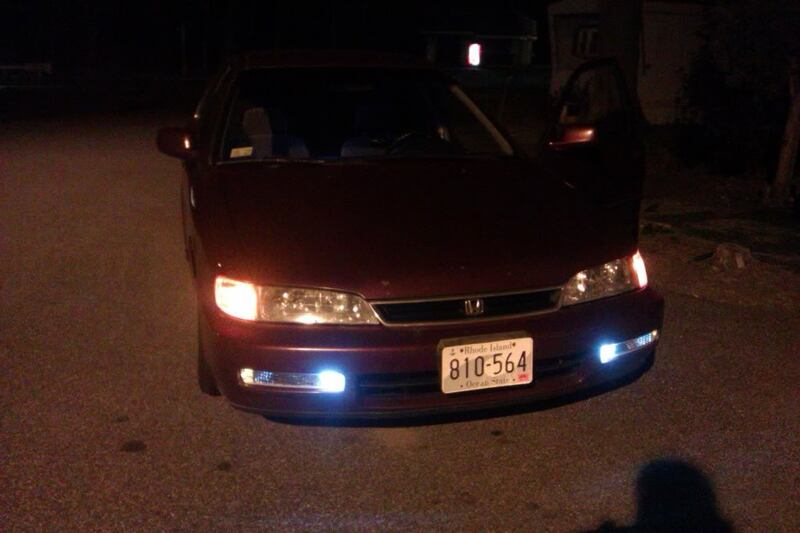 Quick Reply: 1994-1997 accord turn signal modification!! !